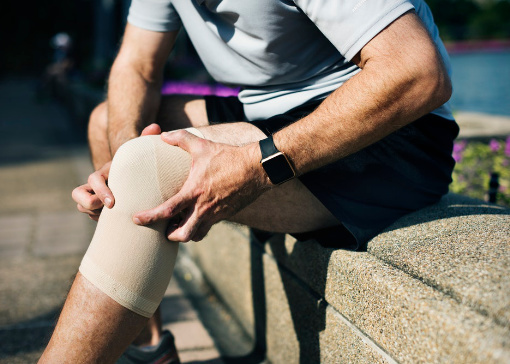 Joint pain can range from a mild annoyance to unbearable agony, so you should educate yourself on this condition in order to seek the right treatment options. You can probably rest easy because the majority of joint pain does not warrant a trip to the emergency room, but it is necessary to take care of the pain so that it does not turn into a more serious condition. The most well-known cause of joint pain is arthritis, a common disease that causes joint inflammation, but there are a wide variety of illnesses and injuries that can lead to joint pain. You could end up developing joint pain after being diagnosed with an illness like Fibromyalgia, Gout, Hypothyroidism, or Ankylosing Spondylitis, or joint pain may develop after a traumatic injury, such as a broken bone, dislocation, or tendonitis. The only way to gain a better idea of what is causing your joint pain is to visit your chiropractor for a physical exam. Pain in the joint is obviously the most common symptom of joint pain, but it is actually not the most serious one. If your pain is mild to moderate, you can likely treat it at home, but if your pain is severe, it’s time to see a chiropractor. Additionally, if your joint looks deformed, starts swelling suddenly, becomes immobile, appears red, or is warm and tender to the touch, you should seek emergency care as soon as possible to prevent irreversible damage or an infection. If your pain is not severe, you can likely alleviate the pain within the comfort of your own home. Start by altering your diet to control inflammation. Foods that are naturally anti-inflammatory include oily fish, leafy greens, colorful vegetables, whole grains, and some spices, like turmeric. Additionally, you should get in the habit of stretching all of your joints and muscles after you wake up in the morning and before you go to bed. For more immediate relief, you can also try receiving a massage, taking a warm bath, or applying a heating pad to the affected area. If your pain becomes unbearable, you need to seek medical treatment. While your chiropractor should not perform a typical adjustment on your joints if they are very swollen, they can utilize other, alternative treatments. Ultrasounds are most commonly used for imaging, but they can also be used to treat soft tissue and joint pain because the sound waves create a massaging effect. Electrotherapy stimulates the nerves and muscles around the joint, which can allow your joint to relax. Your chiropractor can also treat your joint pain by using a low-level laser to treat inflammation deep within the tissue.